Obituary – Morrison, Mary Jane (Campbell) « Perry High School Alumni Association, Inc.
Red Hots, Forensia, Senior Play ’24, D.D.D. ﻿Funeral has been set for 10 a.m. Thursday at Stanley Funeral home, Tulsa, for Mrs. Ralph (Mary Jane) Morrison Jr., Tulsa, a former Perryan, who died Tuesday at St. John’s hospital at Tulsa, where she had been a patient since Dec. 24. 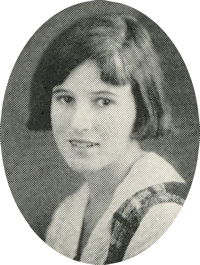 The former Mary Jane Campbell, daughter of the late Mr. and Mrs. Charles T. Campbell, Mrs. Morrison was a 1924 graduate of Perry high school. She had worked as an abstractor for Tucker-Donahue and later for Donahue and Mugler in Perry. She moved from Perry in 1937. In addition to her husband, Ralph of the home, survivors include two daughters, one son, a brother, one sister and a sister-in-law, Mrs. Arthur (Lelia) Campbell, Perry.